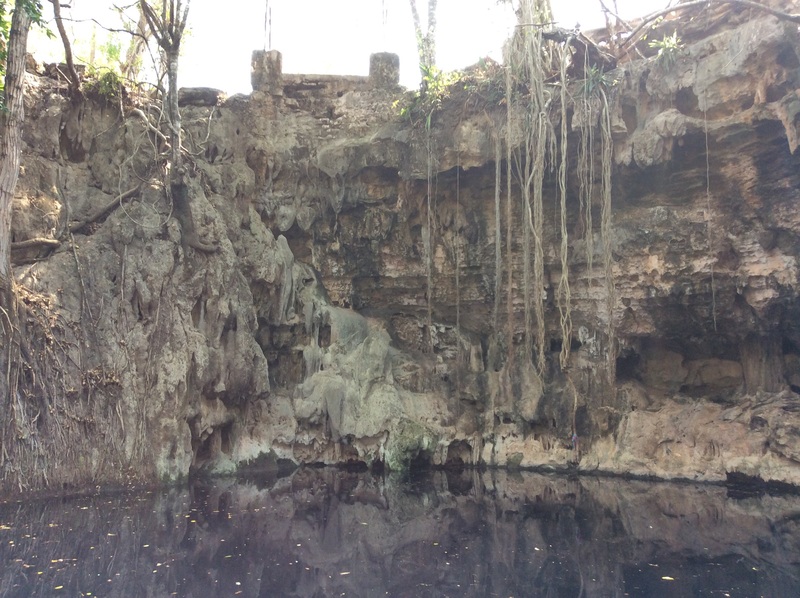 The Yucatán is home to more than seven thousand ancient watering holes known as cenotes (sen-óh-tay). The clear, cool, mineral-rich water bubbles up through layers of limestone and has a silky smooth quality that wraps its arms around you. 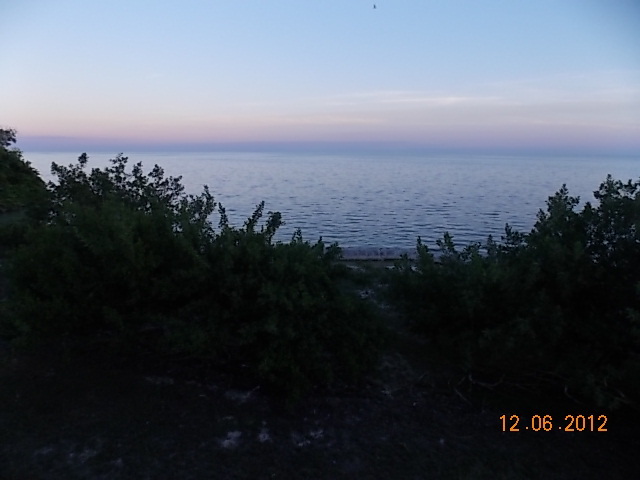 The wells can be found on private property or equipped with a restaurant and entrance fee. 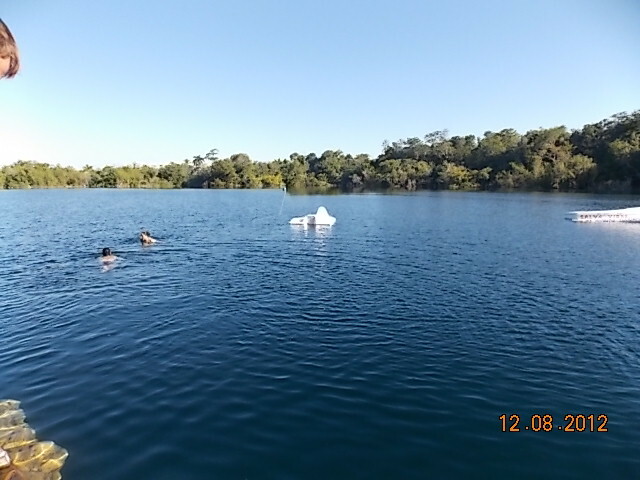 There are two large cenotes in Bacalar. Cenote Azul is the restaurant-type where I swim several times a week. 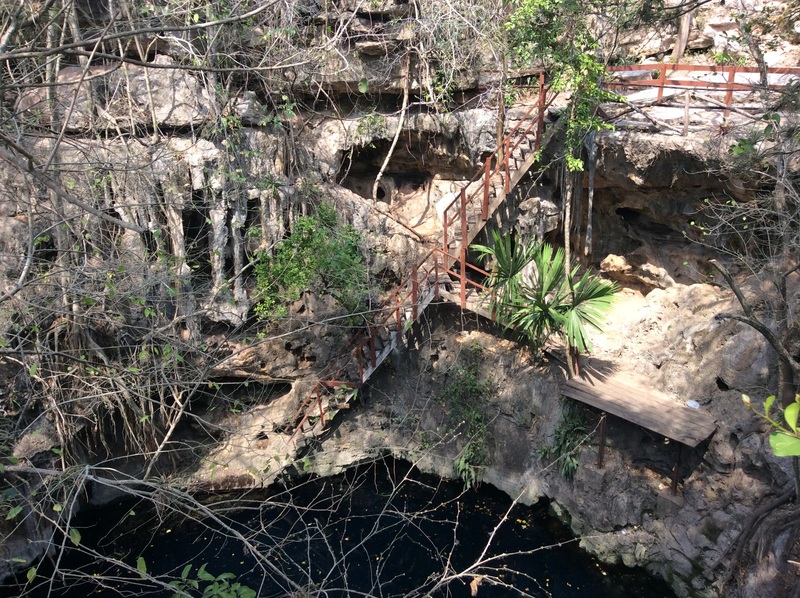 Our Yucatan meander included three cenotes in the city of Valladolid and one in Ek Balam. Lisa finding a way to get into chilly water at Ek Balam. You would think that at some point it would be like “ok, been there done that”. 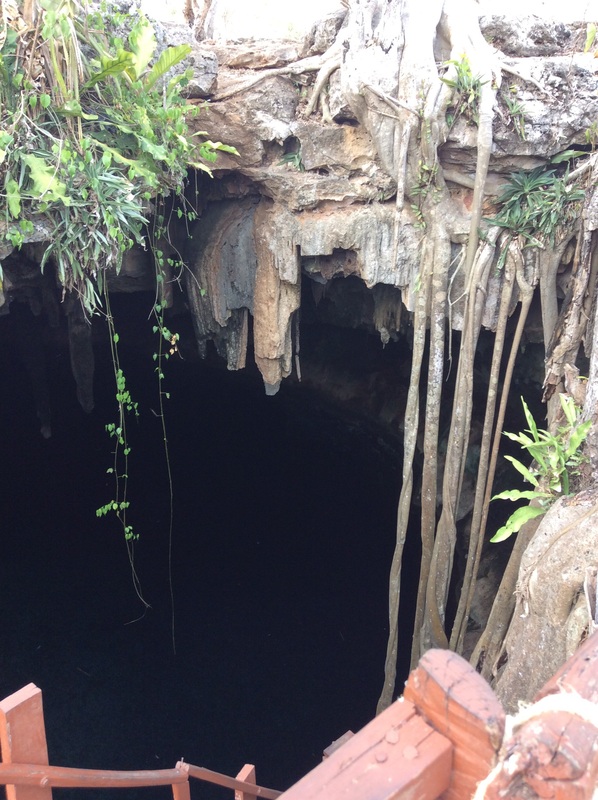 But the cenotes of Ticul took it up a notch. Thanks to Roman, our tour guide, we got to visit private, little-known pools of joy. His secret is safe with us. We couldn’t find our way back if we tried. Thirsty trees reach for water. All cenotes were formed deep in the earth. Then the roof caved in on some, requiring stairs to access them. 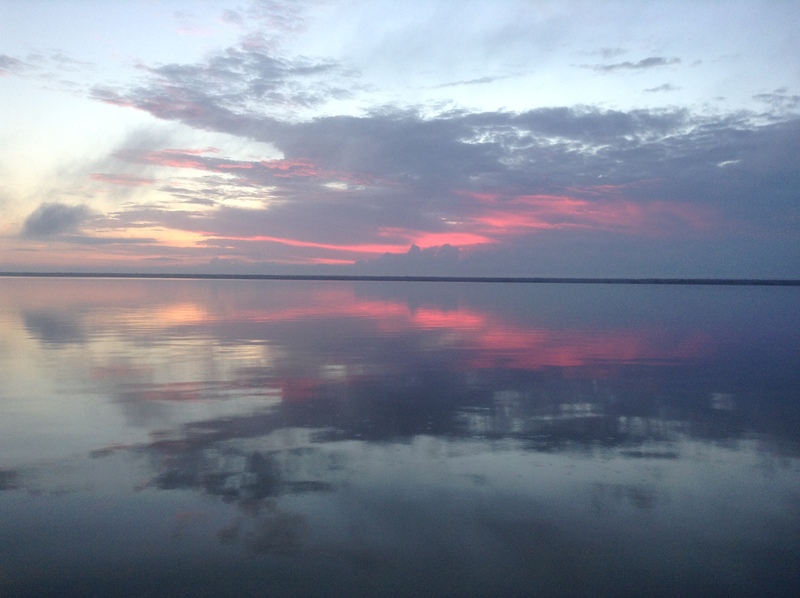 Once open to the sky, the water isn’t as pristine. But if the roof remains intact, a crystalline clear swim awaits. 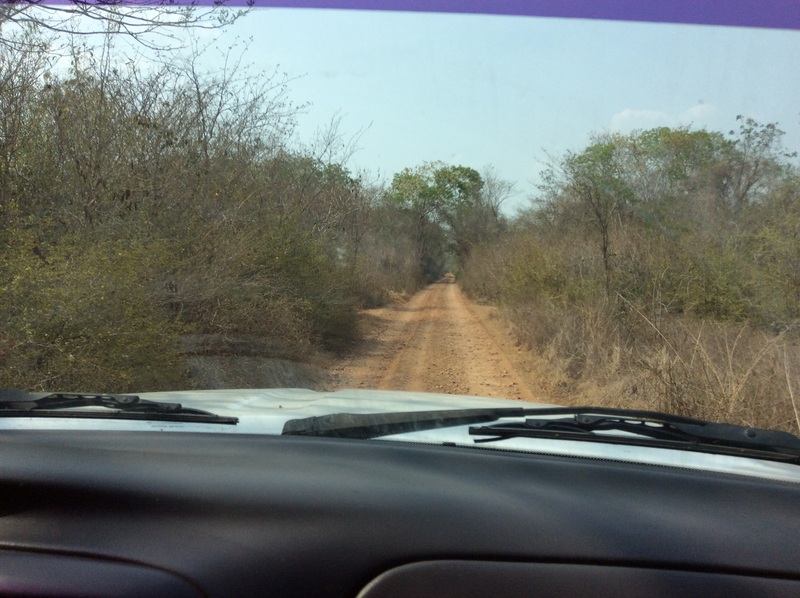 The second cenote we visited required a bumpy ride down a long dirt road. Roman left the best to last. I could have stayed all day. This spot was heaven on earth. 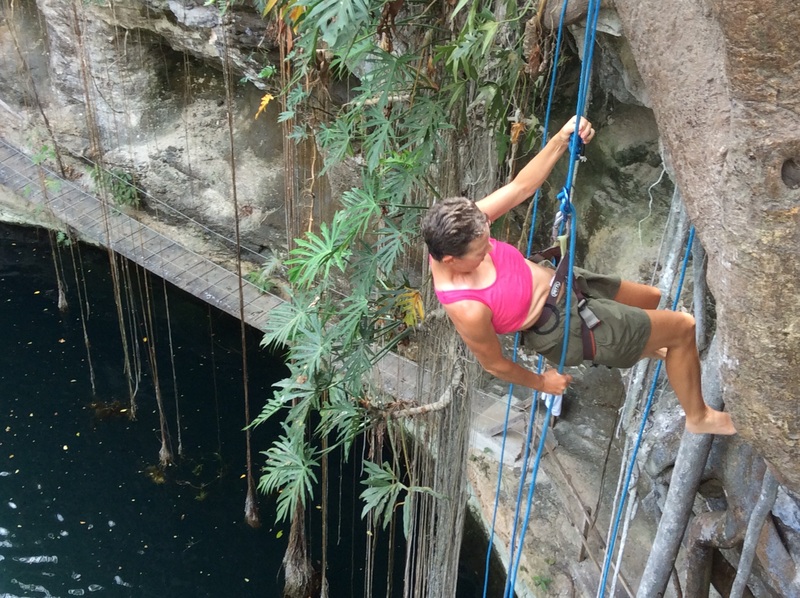 I am convinced that we will never tire of exploring the cenotes of Yucatan. The following day we we said goodbye to Roman with promises of a swift return. Off to the pyramids of Uxmal and the final leg of the great Dos Torta Yucatan Meander. 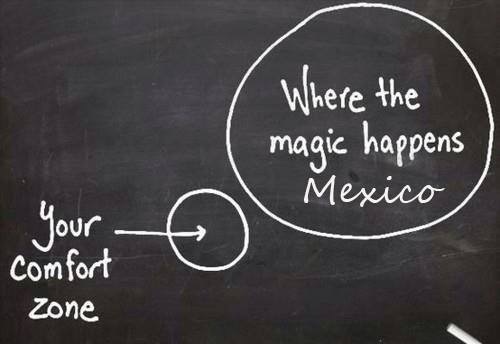 Due to a mishap over the last few days, I’ve decided to repost my Cinco de Mayo blog from last year. We sure have come a long way in our relocation to Mexico. 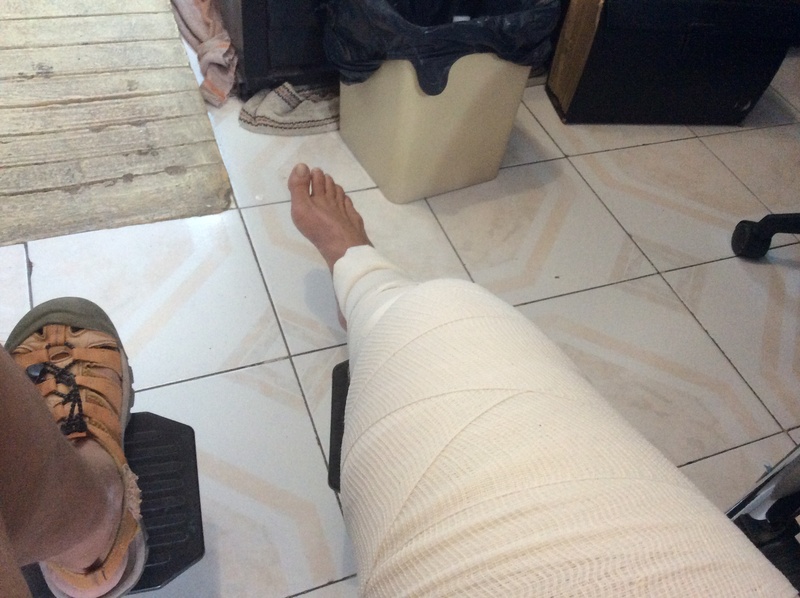 On Friday I went down hard on my bike and have a hairline tibial fracture behind the right knee. I will be in a brace for three weeks. This morning I’m on pain medication and not thinking too clearly. A handsome traumatologist got me seen, xrayed, diagnosed in and out in two hours for less than $200 Xays, brace and medication. Cinco de Mayo is celebrated in Austin by waving green, white and red Mexican flags. So much so that I once heard someone point to a Mexican flag and refer to it as a “Cinco de Mayo” flag. It’s a day for family, friends, eating tacos, listening to conjunto and drinking cerveza. Few know what the holiday is really about. When living in Mexico, I visited the Fort de Puebla where a fight for independence took place in 1864. The French, with their highly trained forces thought they had a cake walk in taking over Mexico. A rag-tag militia of about 500 strategically placed Mexican soldiers proved them wrong. Mexico’s independence took years of battles with French, Spanish, US, and British troops. It’s no wonder everyone celebrates a win by the underdogs. But Cinco is a celebration of much more than the Battle of Puebla. It’s the celebration of a strong, proud, independent people who love to celebrate just about anything. As a youngster from New Jersey, I was wary of a picnic in a cemetery for Day of the Dead. It was a delightful day that allowed me to experience another culture in a very personal way. There are birthdays, saint days, quinceñeras, religious holidays, Sunday picnics, and many more events that I hope to learn about and participate in. We continue to pack containers, take books to Half Price, have dinner with friends and plan our escape. There are no “final” goodbyes. Just about everyone is invited to visit. 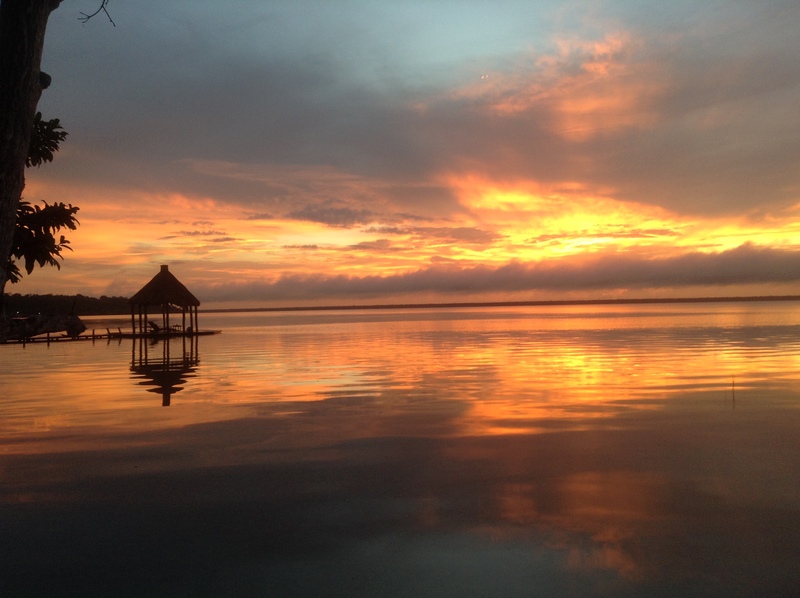 So if you think that southern Yucatan may be a vacation destination in your future, get your passport, practice your Spanish and bring a “celebration state-of-mind”, and remember your hammock. I have a brother who has no email address. He has never Googled nor ordered anything from Amazon. He doesn’t know what a Kindle is. I booked his recent flight to our family reunion while he was on the phone feeding me credit card information. I can’t send him pictures from our vacation, and he’s never read my blog. He takes great pride in not participating in a much bigger world, preferring his life on simpler terms. No passwords, I get it. I remember when I got my first cell phone. I didn’t like the idea of being tethered to anyone who had my number. 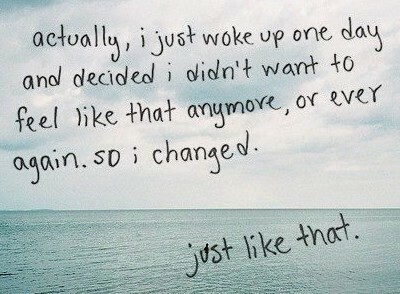 Then like everyone else, I quickly couldn’t live with out it. I purchased an IPhone to keep up with my kids and feel like technology wasn’t passing me by. Without my laptop and internet, I couldn’t have spent hours researching “retiring to Mexico” from the comfort of my lap. It would have been old school library and books. 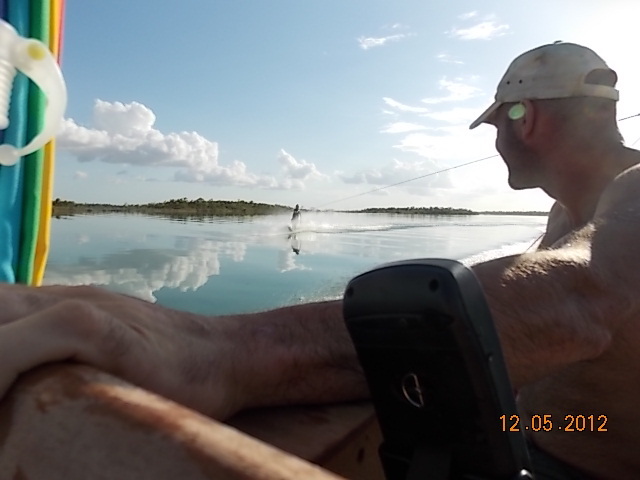 Since coming to Mexico, we have heard of many ways to stay plugged in. For the past few months we have used wifi (in Spanish weefee) to access the web and Skype to the States. I believe there is a data plan in Mexico that can be used with an IPhone which will allow people to reach us via Skype and can also serve as a Mexican phone, all in one. Probably when we get back from the States in February, we will look into it. This week Lisa had a liquid explosion which dumbed coffee on her laptop and I lost my IPad, both on her birthday. The laptop was rescued but the IPad is gone. 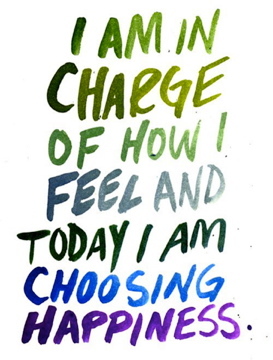 It took me about 12 hours to pull myself out of a pity party and get my head on straight. 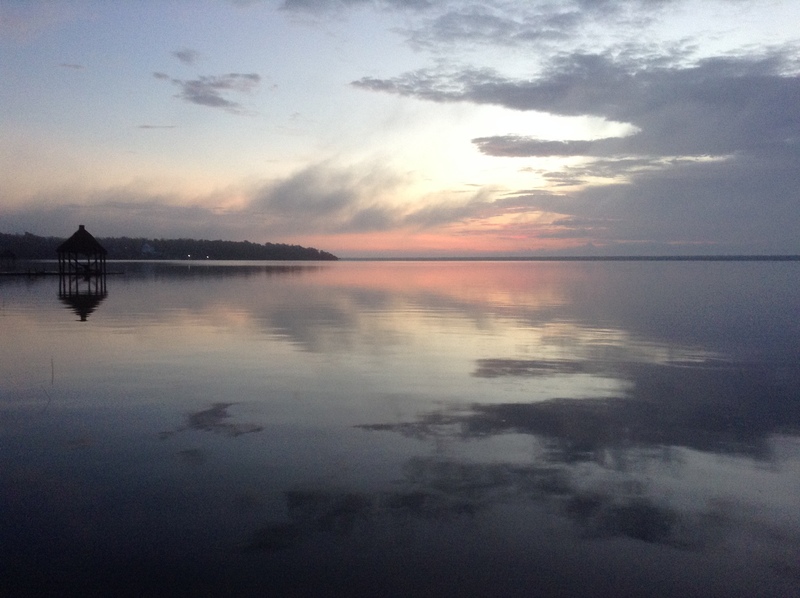 The IPad allows me to take the lovely sunrise pictures that I post to Facebook daily. Sometime during the sleepless night following our disaster, I had a vision of a Bush man of the Kalahari Dessert. He was wearing a loin cloth and carrying a spear used to provide food and water. No laptops, I-this and that, charging cables, internet woes, error messages, and above all no passwords. While I will likely get another IPad, the freedom from electronic hell does sound appealing. I’m just not sure about the loin cloth. Herramientas or tools is a mouthful for most English-speakers, but a necessary word to master for living in Mexico. In order to manage our lawns in the US we have mowers – riding, push, electric, gasoline, and human powered. Then there are edgers, hedge trimmers, clippers, rakes, blowers and you can probably think of more. In Mexico there is the all-purpose machete. Our half acre of property was cleared in half a day by two men wielding blades. There is historical kinship to the sword. Revolutions have been fought and roads built by armies swinging a machete. This week I purchased my very own machete. I figured that it would come in handy working on our property. 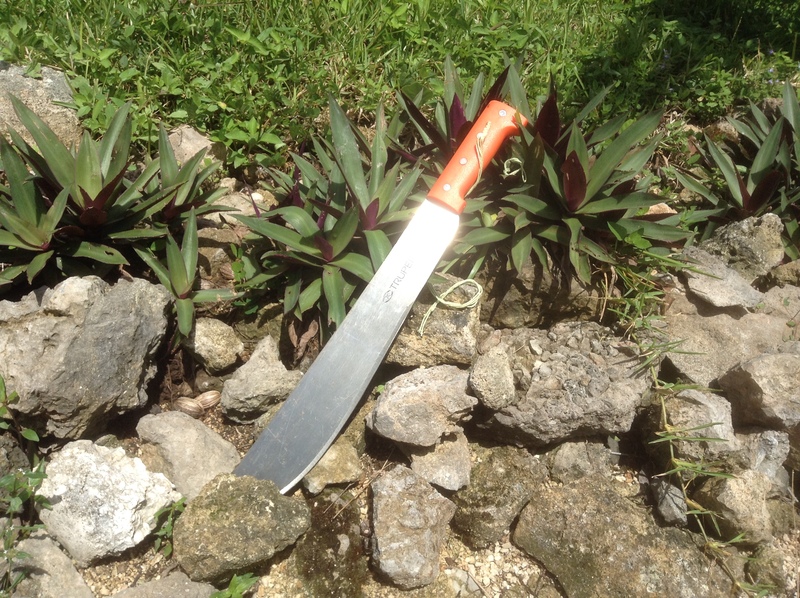 With the upper body strength of a flea, I bought the smallest and most light-weight machete I could find. I then turned to that trusty educational source YouTube. I learned more than I could have imagined about the usefulness of this handy survival, self-defense, multi-tool. I’m off today to get it sharpened and then will attempt to not cut off any limbs, mine or anyone else’s. Wish me luck. I’m especially fond of Mexican mercados. It is one of the things I am moving to Mexico for. Growing up in NJ (the Garden State), I was accustomed to stopping at roadside stands to purchase corn, watermelons and especially those fabulous Jersey tomatoes. Visiting my home state a few years ago, I was amazed to find that there was not a roadside stand to be found. I guess those small farms are long gone. In Texas, I frequent the farmer’s markets looking for that connection to fresh farm-grown food. It’s a special experience for me. 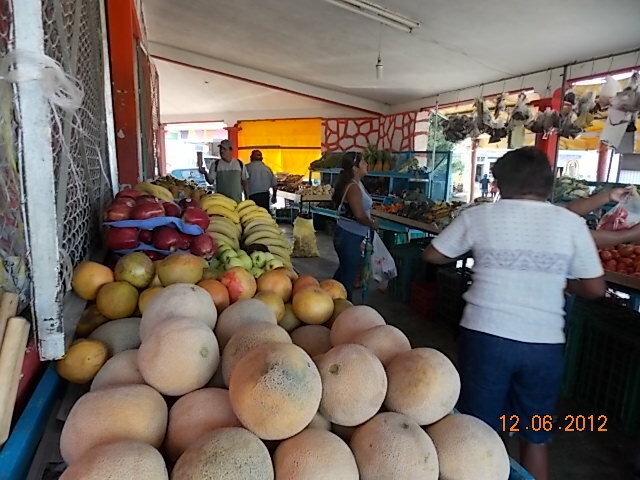 My memory of Mexico in the 70’s was of visiting the mercados, big and small. They were a cross between a farmer’s market and a flea market, made up of temporary stalls, in large open areas or closed off streets. 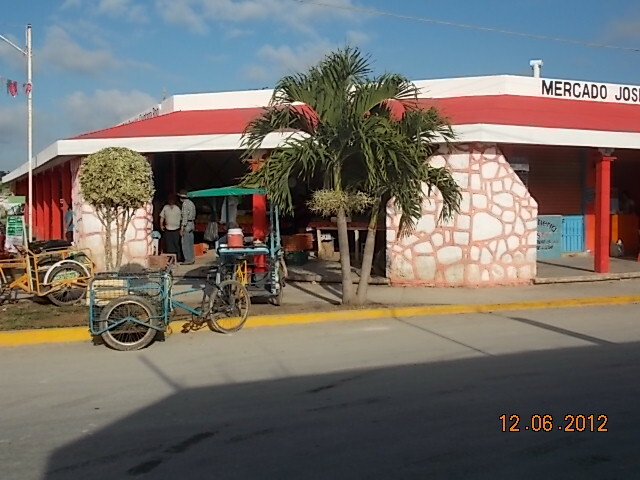 The mercado was usually held once or twice a week depending on the size of the community. I remember the fruit tasting like nothing I had ever eaten in the US. Whatever was in season was piled high for several weeks, only to be replaced by the next seasonal fruit. I made myself sick on mangos, bananas and avocados. 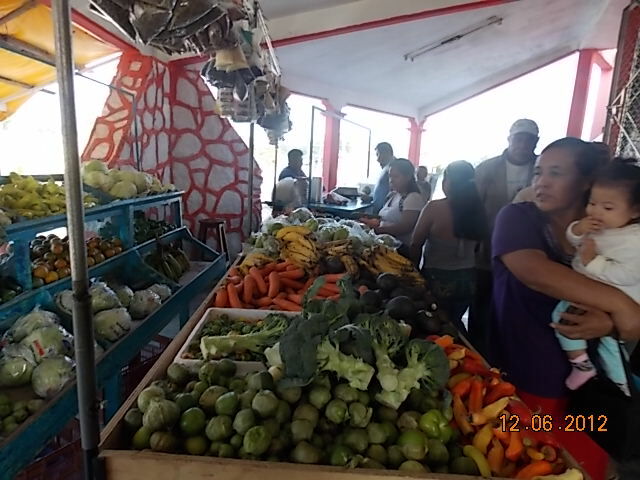 In Bacalar, I searched eagerly for the mercado. 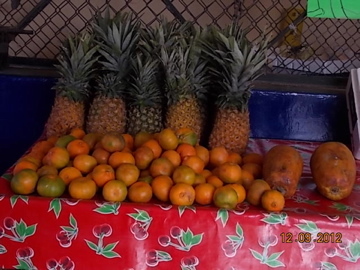 Pineapples and papayas were especially good in December. The market is housed in a permanent building and is open every day. Of course there are also other small stores in town that sell fruits and vegetables and a supply of packaged goods that would rival any 7-11. I look forward to getting to know the vendors and inquiring about the possibility of bulk buying. One thing that did surprise me was finding green grapes from California for sale. The world really is getting smaller. 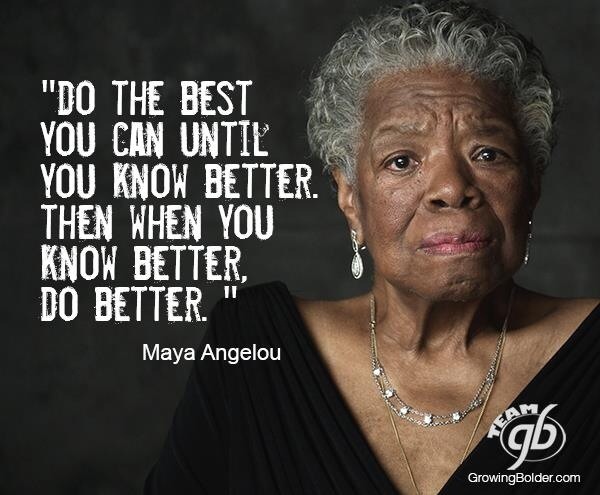 Please share your thoughts or experiences in the comments section. 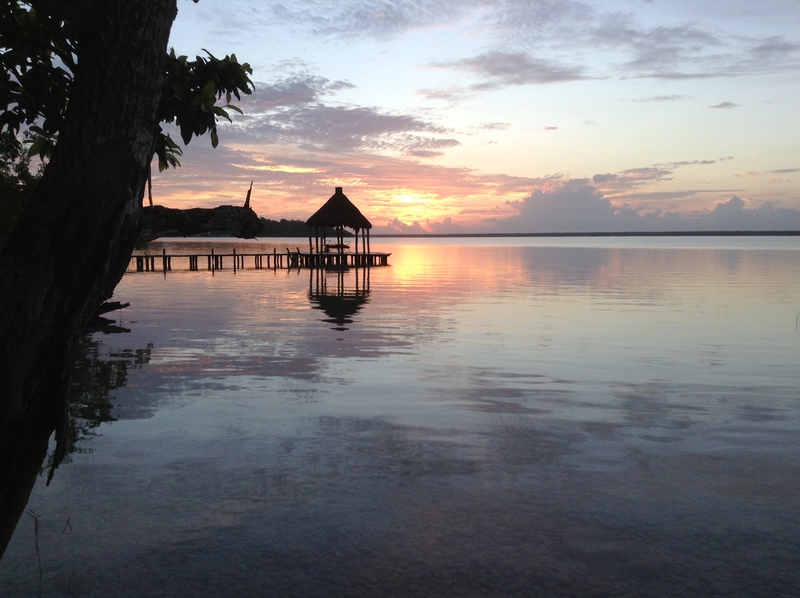 There were many things about Bacalar that attracted us to living in this beautiful little corner of Mexico. Cenote (Sen-OH-tay) Azul is a beautiful circular natural pool about a mile south of Bacalar along the laguna. Centotes are ancient sinkholes. More than likely they were once underground and over time the roof caved in creating a limestone well. Cenote Azul is said to be the largest in the Yucatan at 300 feet deep and 600 feet wide. The pool is free to the public. 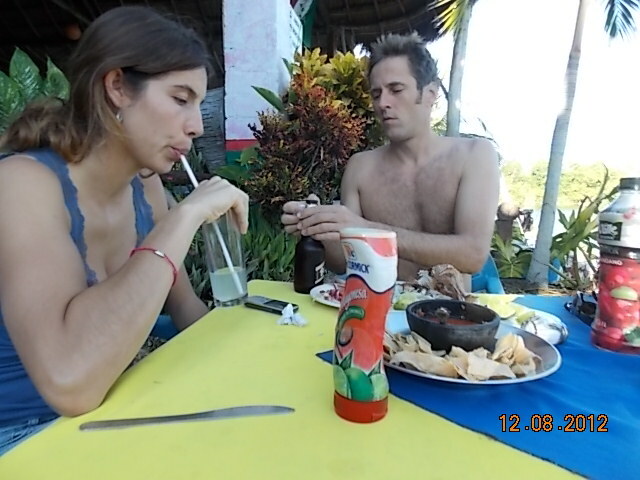 There is a restaurant at it’s edge where we had a snack after a wonderful swim with our realtor Steven and his partner Claudia. 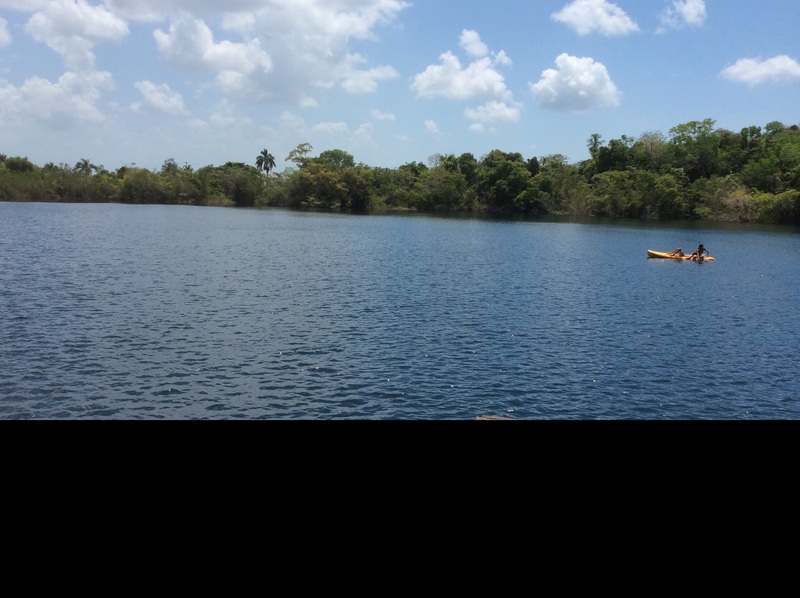 I loved swimming in Lake Bacalar, but the water of Cenote Azul was liquid light. It felt like swimming in an ancient Mayan site sans the sacrificial virgins. 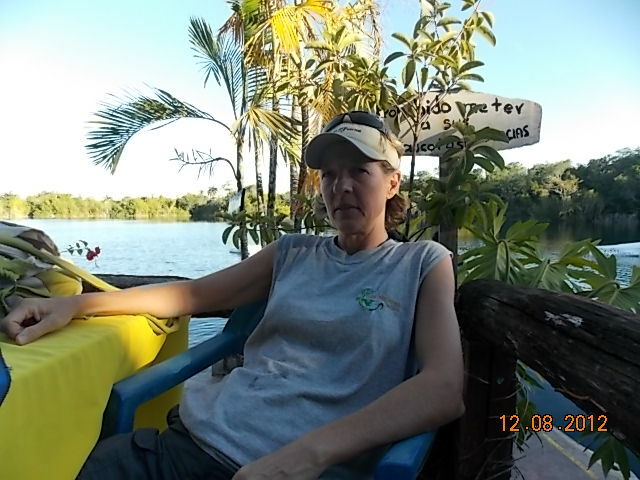 The “carrot” for Lisa to move to Bacalar with me was that she could have a boat. 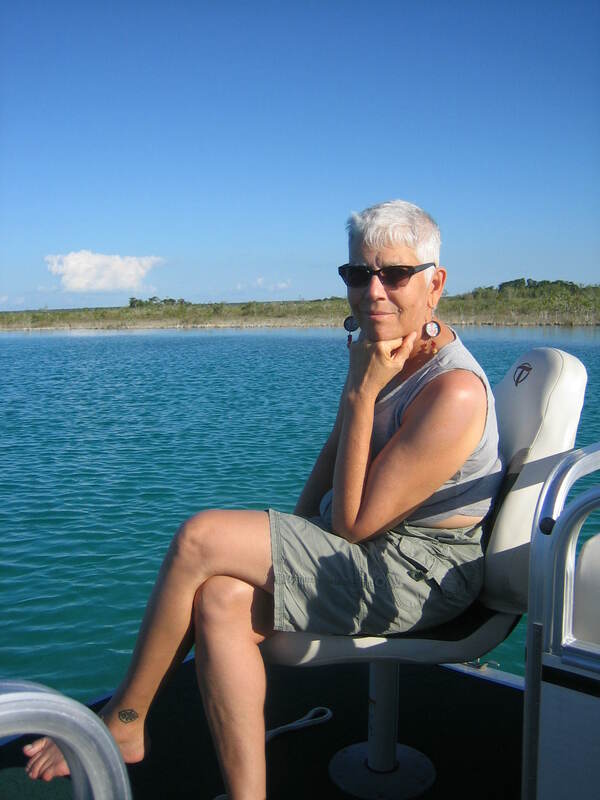 For almost 20 years I have know that her dream is to own property on water that is home to a ski boat. I am not a fan of things that go vroom, so I have been less than supportive of the idea. I’m more of a kayak, sail boat, bicycle kinda gal. 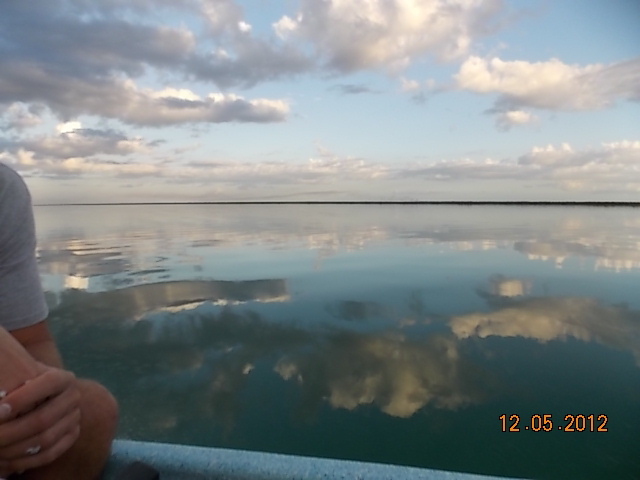 When Steven (our realtor) rounded up some friends to take us out on the lake, the water was “like glass”, which is perfect for water skiing, or so I am told. The guys were a lot of fun and watching Jimmy (boat owner) get up on skis for the first time was a blast. But the significant thing that happened for us was that we stopped at David’s house. He is a part-time resident with a lot that is approximately the same size and slope as the one we considered. 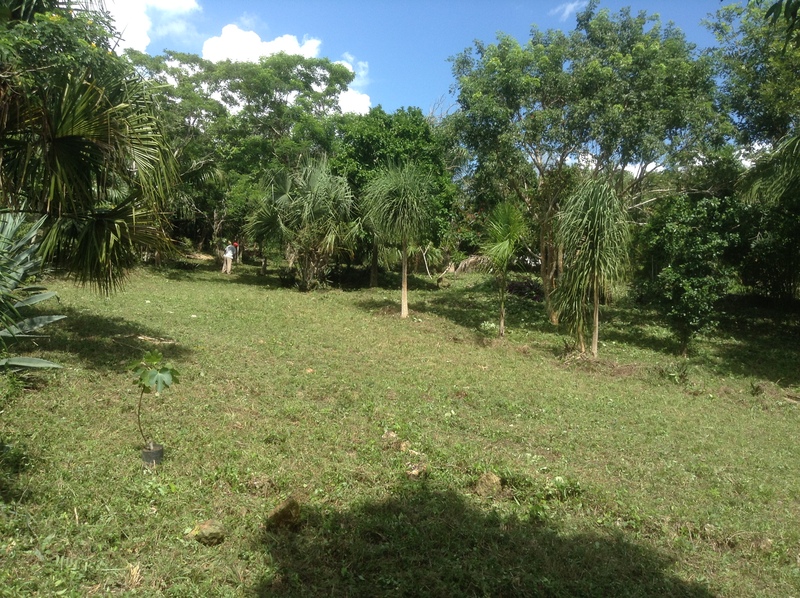 His property provided us with a vision of what we could do with the lot we visited, where we would put the house, etc. All of a sudden, the pieces fell into place. I will post pictures of the property next time. Lisa having the time of her life. 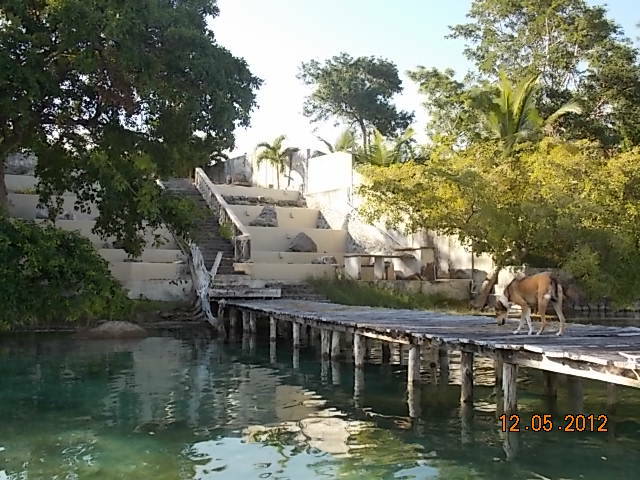 David’s dock and terraced property.